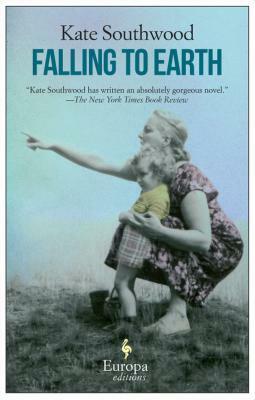 I picked up Falling to Earth, a debut novel by Kate Southwood. The story is set in 1925 and centers around the Graves family. Paul Graves and his young family are the only ones who still have everything after a devastating tornado flattens their fictional town of Marah, Illinois. When I read the description of this book, I just knew I had to read it. I can hardy put it down. With NaNoWriMo approaching, I’ve started preparing for my NaNo novel. I’m mostly freewriting to get to know my characters. Last year, my struggle was that I didn’t feel I knew my characters well enough to tell their story. I fizzled out about halfway to the 50,000 word goal. This year, I’m preparing and on November 1st, I’m going to start over. This time, I’ll tell the story from a different perspective. I’ll be blogging about my progress! I loved this relatable post from blogger Jamie Lee Wallace about the mind of a writer. Read any good books lately? Are you preparing for NaNoWriMo? Share your reading and writing adventures in the comments, and feel free to link back to your own blog! This entry was tagged NaNoWriMo, National Novel Writing Month, Quotes on Writing, What I'm Reading, What I'm Writing. Bookmark the permalink. Love getting book suggestions, and this one sounds fantastic. I’m reading Divergent, the first book in a new dystopia-themed series that my young teen devoured in a matter of days. So far enjoying it. My blog post tomorrow will center on what I’m writing. I’m looking forward to reading about your NaNo journey. I’d considered giving that a try this year, but I know right now it would be biting off more than I could chew. I’m considering doing the Camp NaNo next July. I had just started The Ashford Affair by Lauren Willig, but will have to put it aside because Stephen King’s new book comes out on Tuesday and I always drop everything for Mr. King. Haven’t gotten far enough into Ashford to speak to it, but I came across it as a recommendation to fans of Kate Morton, so people who like her may want to check it out. Writing-wise I’m finishing a horror novel, hopefully by November 1 so my writing time is less cluttered for NaNo. Um, no idea what I’m writing for NaNo yet. But inspiration is bound to strike any second right? RIGHT? King has another book coming out? Man! I looked up The Ashford Affair – I may have to give that one a read! Yes! And it’s Danny Torrance all grown up! I can only speak of this in exclamation points.